I've been trying all week to write a review of Amos Yong's Renewing Christian Theology to post here. The problem is I've written about 3 different reviews now, and each time it turns into a massive essay. So maybe I'll come back to it again, for there is a lot in there that I'd like to interact with (and by that I suppose I really mean argue strongly in the other direction). But in the meantime, I thought I'd just post here the short review I wrote for Amazon. 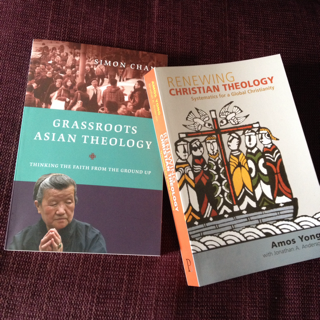 And while I'm at it I'll give you a quick (and much more positive) review I wrote for Amazon of another recent work of theology by a Pentecostal systematician: Simon Chan's Grassroots Asian Theology. Academically, this will be a significant book. It's engaging, constructive, provocative, and incredibly readable too. Particularly to be appreciated is Yong's application of theologia crucis to Pentecostal distinctives. Catechetically (i.e. for teaching the faith in the church) this won't be a helpful book. (But then, that's not what it was written for in the first place!) It's light on several key doctrines (Person of Christ/Hypostatic Union, orthodox Trinitarianism) and doesn't even touch on others such as faith, grace, works and justification. It's also, at significant moments (e.g. 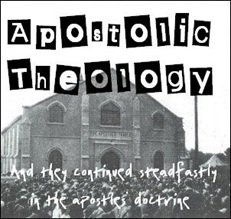 doctrine of Scripture, nature of the atonement, approach to other religions), considerably removed both from traditional Classical Pentecostal theology (think Pearlman, Williams, Arrington, or Horton) and from the beliefs of typical Pentecostal churchgoers (at least in the UK). 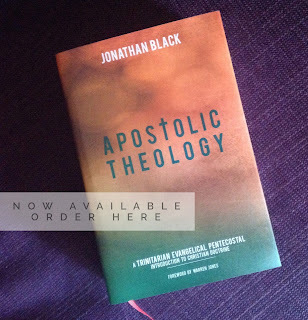 An interesting read in its own right, and significant in demonstrating the direction a significant amount of academic Pentecostal theology is going, but not sufficiently complete to stand alone as a systematic theology by itself. Simon Chan's book not only argues brilliantly for an approach to Asian theology genuinely rooted in the faith of the church, but also serves as needed and helpful manifesto for a way forward for both "contextual" beyond Asia, and for Pentecostal theology as well. Chan is clear that 'any authentic theology must be developed in light of the larger Christian tradition' (p.7) and so in many ways Chan's work is quite 'traditional', and yet it is always creative and constructive. He demonstrates how the theology of the Great Tradition bears much more relevance to the faith of the Asian faithful than that of the privileged academic "contextual" constructs, all the while expressing the faith in ways that speak clearly to Asian cultures. Finally, Chan provides an outline and summary of each locus of systematic theology (pp.43-44) and brings this summary together in his conclusion (pp.203-204). This summary would provide a very interesting basis for a Pentecostal systematic theology, and I very much hope that one day we might see this more fully fleshed out from Simon Chan's pen. Jesus Walked on Water So You Don’t Have To!